Mark borders of the picture. 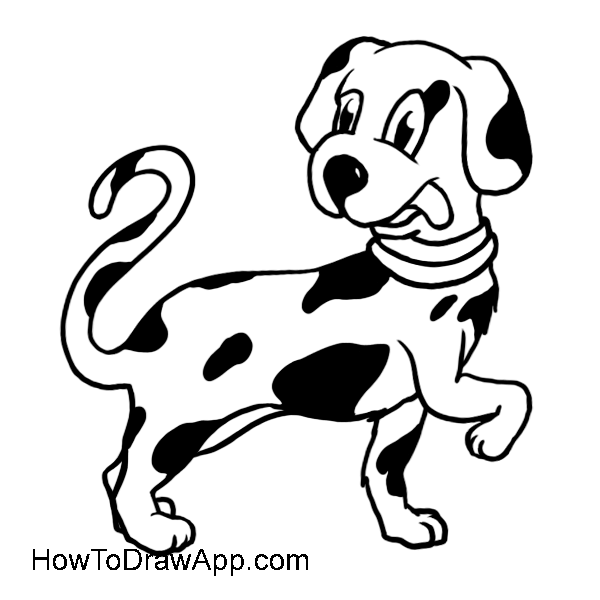 Draw a large circle for the head of the dog. Mark the back line of the dog, schedule legs and the tail. 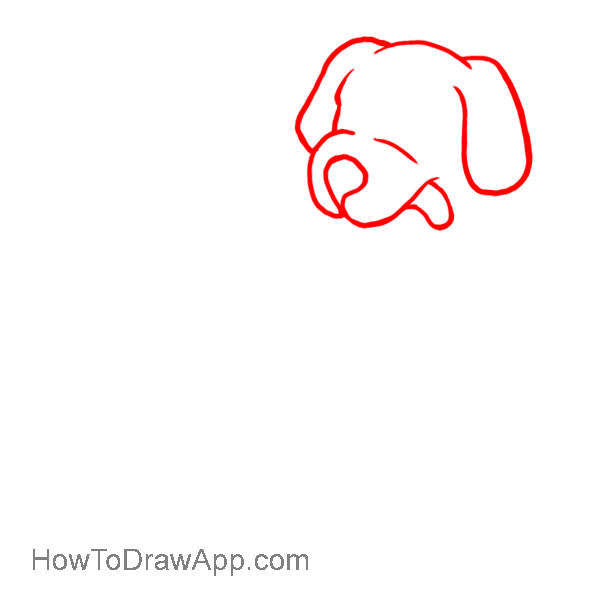 Draw a head of the dog. 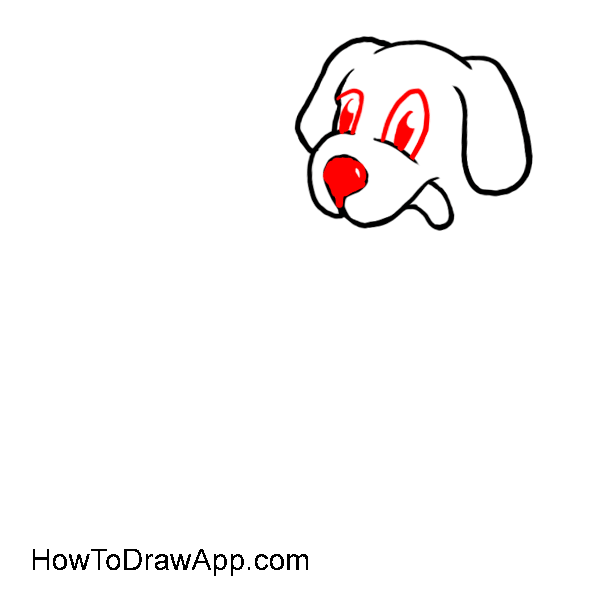 Start drawing the contour of a muzzle, continue with ears, nose and a tongue hanging out of his mouth. Mark eyes with a U shaped line, paint the nose and eyes. 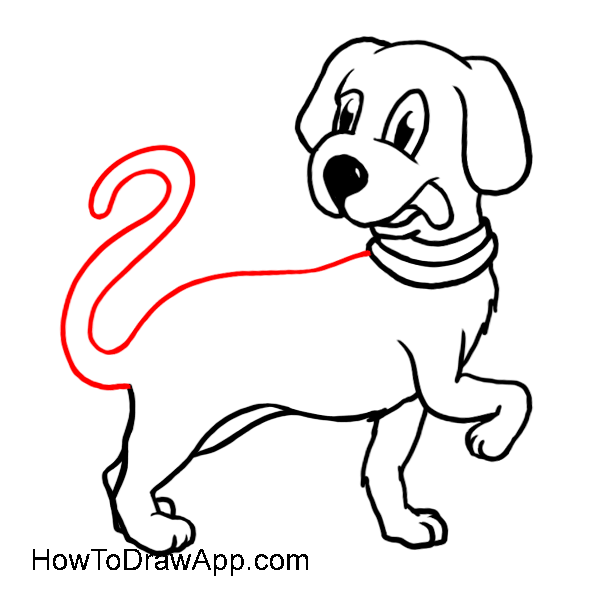 Finish the neck and draw a dog’s collar. Continue drawing the upper front leg of the dog. Mark the line of tummy and continue drawing the second front leg and a paw. Draw the hind leg of the dog. Contunue drawing the second hind leg with a paw. 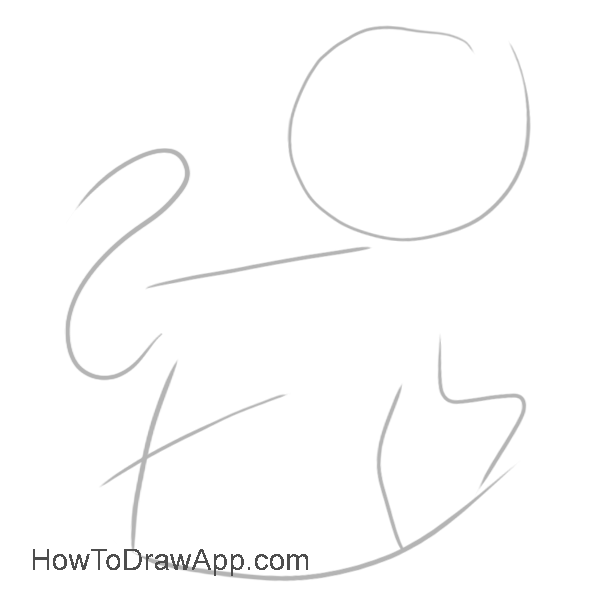 Draw the back line and a tail, making the line curl like a figure ‘2’. 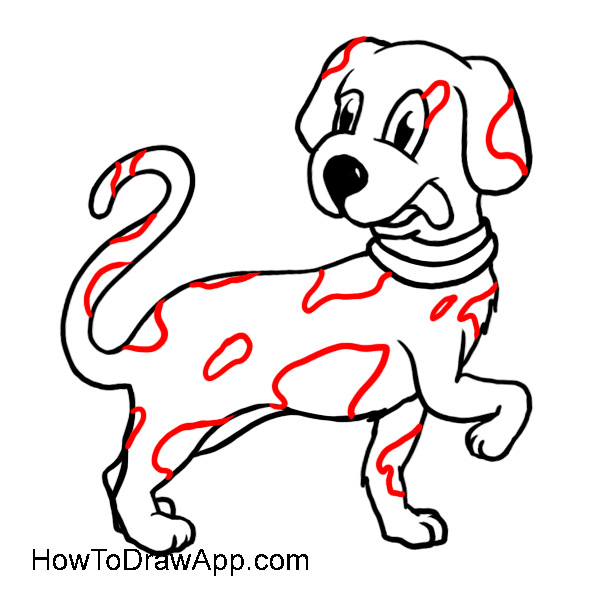 Draw some spots on the skin. Paint the spots in black.